We are one of the leading names in industry, involved in manufacturing and supplying a wide range of PVC Furniture. We are engrossed in trading a range of PVC Office Furniture for our customers. We are offering our valued clients an impeccable range of PVC Fiber Furniture. Our team endeavours to design these products in line with the defined parameters of the industry and prevailing markets demands. These doors are designed by the finest craftsmen using latest tools and equipment. 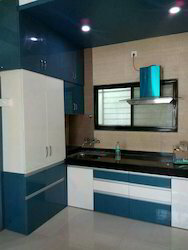 We are a unique entity in the industry, actively committed towards offering the optimum quality range of Designer PVC Kitchen Cabinet.